Only the best is good enough for Sam and his team. Very professional and pleasant. Highly recommended. Thank you for a splendid job on my driveway. We are delighted with your service and the finished result. Your processes clearly required a great deal of care and skill. We were particularly impressed with the care you took to clean the area during and after the work was complete. I would be happy to recommend you to anyone who needs a drive or paths replacing. i am so happy with the work carried out by Cedarscape. from start to finish they were always so careful with everything they did. they took great care not to cause any problems with my neighbours, even with covering a car with plastic to keep the dust off. i cannot believe how hard and how fast they worked. if i ever need anything like this doing again, i will be looking to get Cedarscape to carry out the work. thank you Sam and your team. I would recommend Cedarscape Ltd. to anyone who is interested in having pattern implanted concrete paving laid at their home. 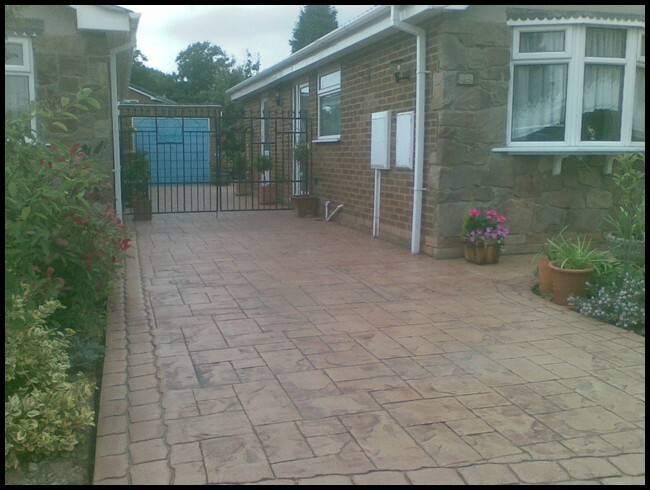 the work was carried out out by a competent team in a professional manner with minimal disruption. The communication from Sam was excellent throughout and we always knew exactly when they would arrive and what work they would be doing. The team worked very hard, everything was well organised and we were particularly impressed with their attention to detail. We were nearly swayed by another company’s salesman and their glossy brochure, however we’re so glad we went with Cedarscape as the finished product has far exceeded our expectations. 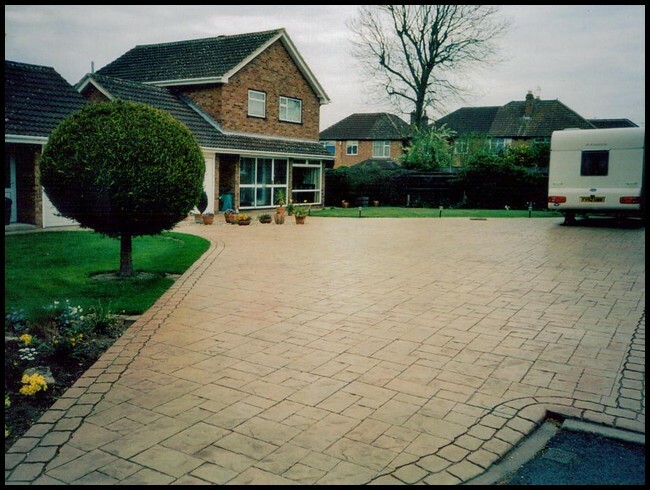 Our driveway is fantastic and they have delivered exactly what we asked for including some additional work which has really enhanced the end result. We think it looks great and judging by the number of people who admire it as they walk past, so do others! We would recommend Sam and Cedarscape without hesitation and given how many people are making note of his advertising board, the quality of his work is speaking for itself! :( Cedar scape laid our drive, patio and garden paths and we have been delighted with the results. From the start we were impressed with the professional approach - from the initial estimate right through to the completed work which was of a very high standard. We were also impressed with the after-care back-up. We would unreservedly recommend Cedarscape to anyone. Have had two drives done by Sam and his team in the last 6 weeks. Excellent job completed for both to a very high standard and with great attention to detail. It is clear from dealing with Sam that he cares a great deal about getting exactly the right job for his customers. Thanks. Thanks for a great job. It looks fantastic, I can't believe how much of a difference its made to the front of the house in Ilkeston.